Our thumbs are green, we enjoy talking about soil and we love watching grass grow. 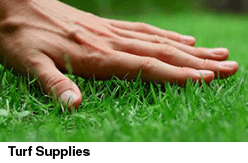 We have two centres – one at Rouse Hill and another at South Windsor – offering a huge range of garden, building, turf and landscape supplies in Sydney. Not only do we have the products, we also know how to use them (and we enjoy it too!). If you have a gardening question or need advice about the best product to use for a project, then we are happy to chat with you and make recommendations. 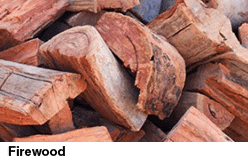 As we head into the cooler months Firewood is in huge demand so stock up today.. We suggest you call us to enquire about what we have in stock. If you can’t come to us, we can bring the products you need straight to you to help with your lawn and garden care. Our trucks will deliver anywhere in the Sydney metro area. Particularly handy for those larger and heavier quarry and recycled products such as Blue metal and Dust, Crushed Sandstone and Concrete Agg. We provide a full range of high-quality garden soils, bark mulches, sands, decorative pebbles, drainage gravels and compactable bases. For orders large or small contact us today. We supply both commercial and residential quantities. From construction sites to the backyard gardener. Whether you’re a keen gardener, enjoy DIY renovating or you’re a professional tradesman or tradeswoman, you’ll find we have the best range of garden, landscape and garden supplies in Sydney. We have a fully stocked landscape yard, including soil, sand, mulch, gravel, treated pine, mulch and lots more. A family-run business with 40 years’ experience, our reputation is built on friendly advice, great service and very competitive prices across our entire range of nursery supplies.